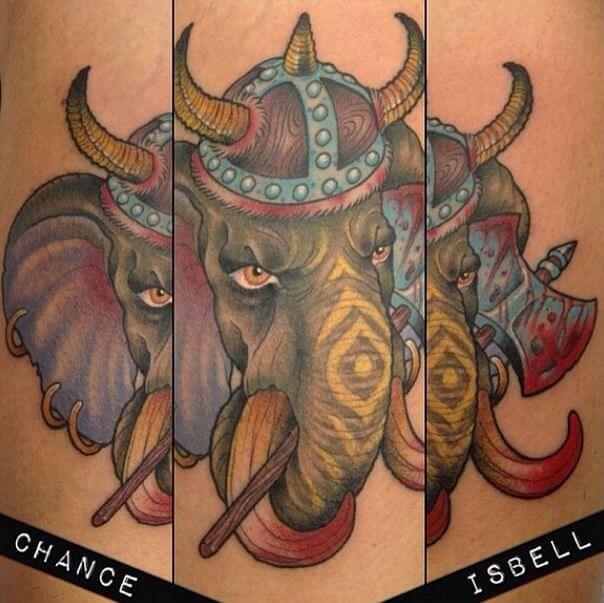 Chance Isbell is a tattoo artist at Mantra Tattoo in Lakewood, Colorado. He is a well-rounded and easy-going guy; who is known to comfort his clients by connecting with their intention, suggesting subtle enhancements, and then drawing up beautiful ideas. Ever since Chance was a kid, he wanted to be an artist. Inspired by the ’60s and ’70s artistic cultural context and by Thomas Asher, Doren Clifford, Eric Inksmith and Mike Wilson, Isbell archived a unique “Culturally Conscious tattooing style.” In other words, if someone comes in with the idea of marking themselves in a socially inappropriate way, he won’t want that weighing on his conscience. 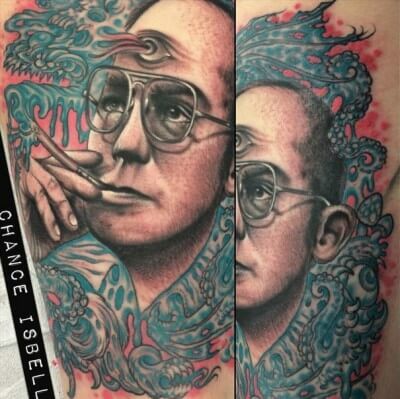 He tries to be logical with hateful tattoos or a client making impulsive decisions for shock value. But, before becoming a professional tattooist, Chance went through rigorous technique training, needle making, cross contamination awareness and general tattoo etiquette. Isbell abilities go from Traditional American tattooing style to a slightly illustrated realism. 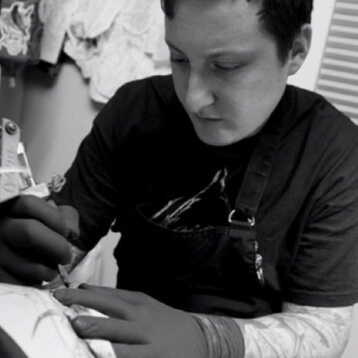 Because, he was trained and influenced by mostly traditional American tattooers, he tries and upholds the values and pays homage to the many pioneers who paved the way for all the tattooers to be here in the tattoo industry today. Although he feels like he can do most styles of designs justice, he prefers keeping things simple, bold and clean. Check his portfolio out under his artist profile to discover his incredible artwork.